I can't select any of these units with left click. I have to use right click now. This is west coast of South America. The post was edited 1 time, last by HMS Surprise: ss edit ( Apr 19th 2019, 5:23pm ). can you send me your game username and the game ID where you experience this issue? oh, one thing to consider. maybe we shouldn't see the trajectories of incoming rockets or from where planes are operating from? makes sense in the real world. Great this makes it better! But the clouds still block out everything, and world maps are still really laggy and have troops which start dissapearing. Can you send me a screenshot of that ITSAEROMF? The latest update should have reduced it. If that is not the case we need to get back to it. Selection problems of armies should be resolved now. Regarding unit images not being displayed when alooot of units are visible at the same time, this is on our plan to be fixed soon. Yeah, 2 bugs so far, not being able to click on units past the seam on pacific ocean and sometimes, my units go invisible and I have to reload the page to see them. That should be fixed now, except for the few units stuck inside the map seam itself, which require the alternate selection methods. You may hold down the right mouse button and circle the area to select the units. Sometimes a "triangle" motion works better than a circle motion. This will make a gray shadow and select all the units in the loop. In the case of planes: Having the circle include the airbase or carrier they are stationed from is necessary. 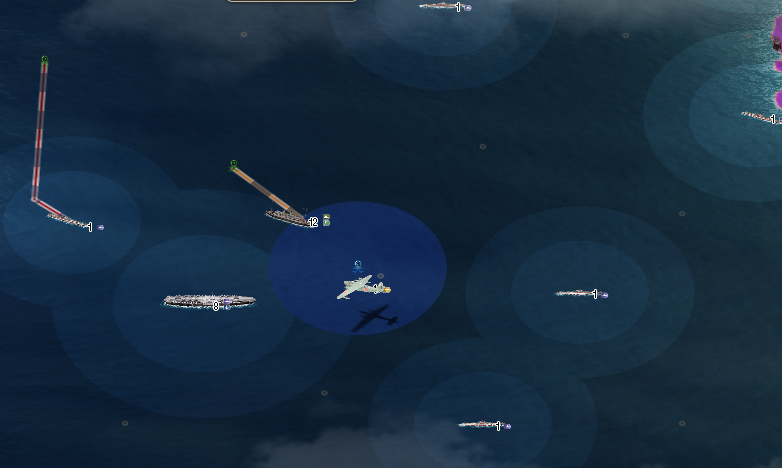 You will then need to use the split command to separate the planes from the carrier or units at the airfield. Or, For units with a known designation, such as AB12, you can use Ctrl +F and type in the unitID to select the unit. You may be able to determine the designation from newspaper reports or from the unit list as if you were going to trade an army to someone in diplomacy menu. All of your units will start with the same letter code. Or, The units can be selected by cycling through the units with the left and right arrow keys until the desired unit is found. Typically if you start by selecting a nearby unit and use an arrow key you will get other units within view. In some cases reloading the game will freshen the list and sort order, and enable you to find the unit easier with this method. Ok, I just tried my map and it is fixed now! Thank you for helping me out. I can't see the rocket's attack trajectory anymore, is that intentional?